To get the best out of your air conditioning system it’s vital to ensure that it is serviced on a regular basis. 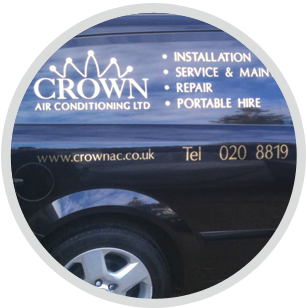 Here at Crown Air Conditioning we offer a cost-effective air conditioning service, available to customers who live in Chessington and Leatherhead. Air conditioners are expensive, complex pieces of equipment which require regular servicing if they are to operate efficiently. Dirt, dust and bacteria quickly build up inside systems which are in regular use and when left unchecked, can cause unpleasant smells, unreliability and increased running costs. In the worst case scenarios, air conditioners which aren’t serviced can develop faults which are extremely difficult and expensive to repair. With this in mind, a programme of planned preventative maintenance is the best way to make sure your air conditioner is reliable and efficient. Professional servicing and maintenance helps to combat the natural build up of dirt and bacteria and our engineers work to strict service schedules to ensure all parts of a system are thoroughly cleaned and in good condition. We check for worn or damaged parts and will carry out diagnostic tests to confirm that your system is running efficiently. We have the expertise to install all types of air conditioner systems, from ducted and wall mounted systems, through to floor mounted systems and heat recovery systems. In addition, we’re also happy to service and repair your machine, even if we didn’t install it. Our service schedules can be tailored to meet your individual requirements and budget. Our maintenance contracted clients enjoy a range of benefits including discounted labour charges and guaranteed call out teams, with rapid response times for critical cooling systems such as those used in server rooms or wine cellars. Please get in touch for further details and we’ll advise you on the best service schedule for you. 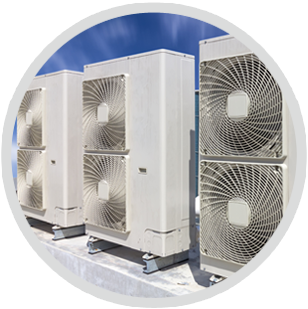 Alongside our air conditioner maintenance service, we also offer our customers in Chessington and Leatherhead a cost-effective installation service. We know our individual customers have varying requirements and as such our fully trained engineers will work closely with you to find the best product for your home or business. 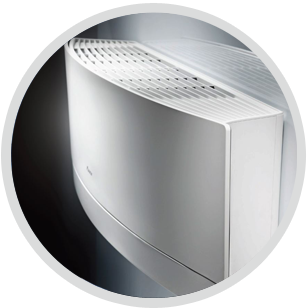 We install all types of system including wall-mounted, floor-mounted and ducted systems and installations are carried out with care and the minimum of disruption. If required, we can arrange installation in the evenings or at weekends. We know our customers expect the highest quality standards and as such we only install products made from well-known reputable manufacturers such as Panasonic, Daikin, Mitsubishi Electric, LG and Fujitsu. All the installations we carry out come with a three to five year parts and labour warranty, provided the system is serviced and maintained by us for a three year period. 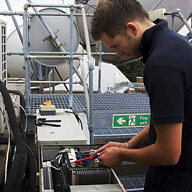 Regular air conditioning servicing is proven to help improve the efficiency and extend the life of systems. To find out more about our flexible air conditioning service in Chessington and Leatherhead, please contact us by calling 01737 668310 or use the contact form on our website.